The annual price of car insurance for motorists rose by 40% in 2010 according to the AA, meaning that the average driver is now paying £791 per year on insurance for their vehicle alone. Some groups are being hit by these price rises harder than others; with the general trend being for insurance firms to target groups that they feel are the biggest risk. This has hit imported car owners hard, but it doesn’t mean that people should be put off importing a vehicle as there are still cost savings to be made. There are two primary reasons why car insurance firms are targeting imported car owners in particular. The first is the extra costs which are anticipated when ever spare parts for a repair are required due to the need to seek out and import these parts from another country. •	Parallel imports- These are vehicles which have been built in Europe and therefore comply with EU legal specifications. •	Grey imports- These are vehicles which have not been built in Europe and are therefore not EU approved. Owners of Grey imports can generally expect an interrogation from potential car insurers for the reason of these varying legal specifications to which manufacturers must adhere. 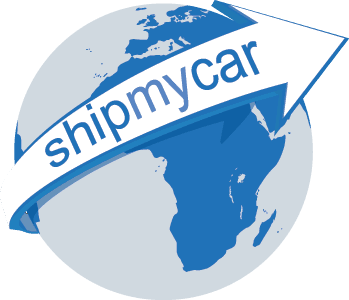 It has also not escaped the attention of car insurers that cars imported from Japan generally have higher specifications than the same vehicle when it is created in Europe. This means that Grey import owners will likely be asked to disclose their cars exact specifications (i.e. top speed, acceleration, brake horse power etc) to the insurer so that they can calculate a premium and can occasionally face higher premiums. 1. Search far and wide- the best piece of advice that can be given is to compare prices with as many different insurers as possible in order to give you the best chance of finding the cheapest possible premium. The quickest and easiest way of doing this is through price comparison services which will compare offers from hundreds of different insurers in a matter of moments. 2. Look into specialist insurers- Insurance firms which claim to specialise in imported vehicles will often offer lower premiums as they will likely have more knowledge of the car specifications of the vehicles. However, this is not always the case as these insurers are sometimes unable to compete with their larger competitors in terms of offering lower prices. 3. Preparation is everything- Make sure that you prepare yourself for the car insurer’s interrogation, particularly if you are the owner of a grey import. This means you have to be clued up on everything about your vehicle’s specifications in order to give you the best chance of getting the cheapest premium. However, never purposefully lie about specifications to your insurer as this could render your policy void in the event of a claim. 4. Your mileage allocation- The more miles you travel, the more likely you are to have an accident. This basic fact is the reason why car insurers will offer lower premiums to drivers who travel less. However, be careful not to set your mileage allowance too low as this would be another good way of rendering you policy void; allowing your insurer to dodge a payout in the event of a claim. 5. Parking and security- Imported vehicles are generally more valuable than those bought in the UK because they are generally rarer. Insurers recognise this and will therefore offer cheaper premiums to imported car owners who have made an effort to ensure that their vehicle is both parked in a safe place and equipped with security systems. This means that imported car owners should try to park in a garage when possible and fit approved Thatcham security systems such as alarms and immobilisers which will result in a significant insurance cost reduction.